Bebe Nanki ji was elder sister of Shri Guru Nanak Dev Ji, founder of Sikhism. Bebe Ji was married to Bhayia Jai Ram Ji in Sultanpur lodhi. Bebe Nanki Ji was first person, who recognize Guru Nanak Ji. Guru nanak Ji lived a long time in Sultanpur lodhi with his sister. Here in Sultanpur, Guru ji worked in Modikhana, did Prabhu Bhagti and started 4 Udasian. Gurduara Sahib Bebe Nanki Ji is run by a Bebe Nanki Charitable trust , under the chairmanship of Bibi Balwant Kaur Ji and with the help of donors of around the world. 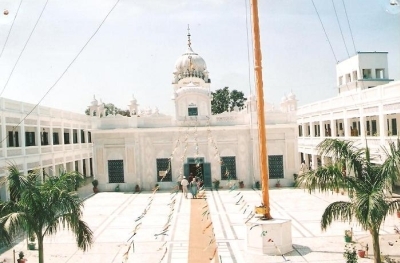 Birthday of Bebe Nanki Ji is celebrated every year on 2-4 April in Gurduara Sahib.